Description for 7771 Normal Ave. 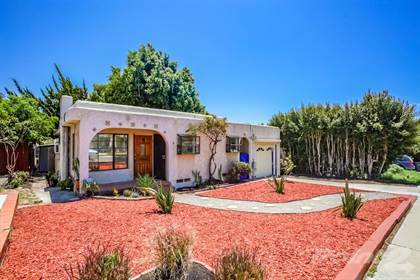 SELLER WILL ENTERTAIN OFFERS BETWEEN $399,000 - $425,000. OPEN HOUSE 7/22 1-4PM.\rFantastic opportunity to own a single family home! First time on the market in 40 years! Why buy a condo with HOA fees when this charming Spanish style home is move in ready! New carpet, new paint, new garage door and LED lighting. Low maintenance front yard and a huge backyard with direct alley access. Plenty of room in the back for an RV, boat or just additional parking. Walking distance to schools, shopping, La Mesa Village, Highwood Park and the “La Mesa staircase” for wonderful exercise and views. Hi, I'd like to find out more information about 7771 Normal Ave.. Thanks so much!